We are proud to say that we are one of Blue Star India's top-rated channel partners for the 'West' region. 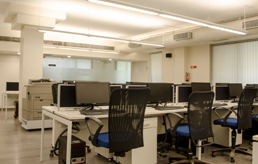 Our top-rated commercial air conditioning solutions include everything from concept planning and installation to post-installation maintenance. 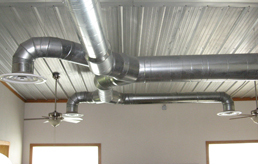 Our skilled HVAC experts have an in-depth understanding of the ventilation requirements of facilities differing in size, scope, and structure. 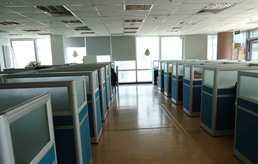 Our extensive know-how of the central and packaged air conditioning systems positions us to execute commercial HVAC project of any size and scope. 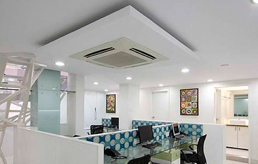 We are Blue Star ac dealers in Mumbai and top-rated channel partner specializing in providing end-to-end heating, ventilation, and air conditioning (HVAC) solutions to a range of commercial, institutional, and industrial projects. We are experts at providing comprehensive HVAC contracting services, ventilation system design, AC installation, upgrades, AC rental, and annual maintenance. We have successfully planned and implemented full-service air conditioning and ventilation projects for large commercial complexes, entertainment parks, workplaces, and hotels, among others, in and around Mumbai and Pune. 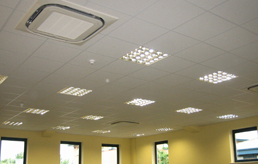 Expert Aircon focuses all its eﬀorts around its customer’s needs. Our expert team helps us grow and overcome any challenge that comes our way. Due to their in-depth knowledge we have successfully been able to deliver HVAC solutions for scales ranging from 1 ton to 1800 tons all within time and budget. Our products are developed from innovative technology after keeping in mind the day to day customer needs. As a socially and environmentally responsible business, we create sustainable value for our customers, staﬀ and society in everything we do. Copyright © 2017 Expert Aircon Pvt. Ltd. All Rights Reserved.